AGU B.V. which was founded in 1966 in 2010 established its own B2B organization in Denmark and the company has since experienced immense interest and growth in Denmark. As it´s AGU’s target to become a proactive part of the Danish bicycle dealers everyday business, we now wish to expand our organization with additional staff. This employee is to become our account manager for the district of Jylland and Fyn, as well as being part of developing the known and appreciated brands AGU and Cordo. Your daily work will consist of visiting our partners in your district and promoting the AGU related brands and business solutions. It demands stamina, determination and a willingness to get the job done. There will be around 8 days of travelling to the Netherlands a year as well as weekend and evening work will be demanded in relation to fairs, exhibitions and events. As we are still developing as a company in the Danish market a certain amount of canvas sales should also be expected. You will be supervised and supported by AGU in Denmark, but as your job requires a lot of time visiting business partners by car, you have the ability to work independently, insistently and self motivated based on clear personal targets. You are prepared to make you contribution to a good and healthy working environment for you and your 168 pleasant and forthcoming colleges. You thrive in an international working environment. Jobindex is recruitment partner and for further information you are welcome to contact Recruitment consultant Charlotte Hansen, 3832 3429. We review all incoming applications on a running basis; therefore you must apply as soon as possible. 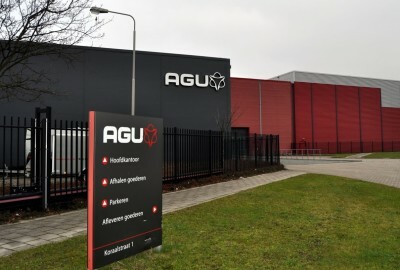 AGU B.V. was established in 1966 and is a family owned company with 168 employees based out of Alkmaar, The Netherlands. The company is the largest producer of cycling related clothing and cycling related accessories in the Benelux. With background in our high tech. warehouse based in Alkmaar AGU B.V. is also the distributor of more than 40 different internationally known brands. AGU produces and markets clothing, bags and cycling related accessories under the registered brands of AGU and Cordo and has set it as its target to become the preferred total supplier of the Danish bike dealers.